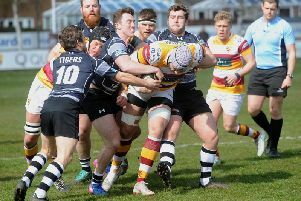 Fylde coach Warren Spragg questioned the ability and desire of the players to get out of their worsening predicament after the devastating loss to league leaders Coventry. That is the first time Spragg has gone public with such reservations and he admitted he might have over-estimated the ability of the squad to cope with the demands of life in National League One. Spragg told The Gazette: “What I have not had to waver about in the past is whether or not these lads care, whether they want to play for the club and turn it around. “They are going to have to prove to me that they do care. The Fylde coach said it was a collective responsibility. “We all have to question whether the things we are doing are the right things and whether we need to do things differently. “Coventry were good and we were very poor. They beat us in every single aspect.